Longtime Boise residents, Lane-Ruckman and her husband Tom both came from backgrounds in fine dining before they bought Bridges in 2002. Over the last fifteen years, they have operated the restaurant and overseen the catering side of the business. The couple has been accompanied along the way with a dedicated staff, some who have worked there for nearly a decade, which speaks to the atmosphere of the restaurant. While Bridges has long stood at the corner of NE Knott and MLK, Laura explained that their backgrounds and high expectations led them to recreate the menu and fundamentally change the way in which the restaurant operated when they took it over. They decided that all of the items on the menu would be made completely from scratch, with careful attention to the sourcing of ingredients, including a commitment to using only organic dairy and eggs. Both the restaurant and the catering side of the business are responsive and sensitive to customers’ food allergies. While the couple collaborates with a nearby bakery to create their house bread, all of Bridges’ pastries and the challah are baked in-house. Bridges’ menu is one that Lane-Ruckman describes as “Classic American” and reflects the melting pot of cultures in the U.S. Breakfast standards like omelets and French toast are presented alongside offerings inspired by the family’s ties to New Orleans, in addition to items that honor Portland’s appreciation of southwestern food. While the menu shifts according to the availability of produce, Lane-Ruckman smiles as she notes that a few dedicated customers have prohibited their favorite offerings from ever leaving. Lane-Ruckman reflected on some of the changes that she’s noted in Eliot over the past fifteen years of operating the restaurant. She notes that today more restaurants are open in the neighborhood, which she considers a real positive, because now Eliot residents are accustomed to dining within the neighborhood, and those from other parts of the city are also drawn to the area. She loves it when she sees that the Bridges parking lot is empty but the restaurant is full—a sign that the restaurant is filled with neighborhood residents who have traveled to eat on foot. Lane-Ruckman also is concerned by some economic changes to Portland on the whole and on the neighborhood level, which have led to an increase in the cost of living. This change has made it more challenging for her employees to find affordable housing in recent years. While Bridges may be best known to locals for its extensive brunch offerings, Lane-Ruckman also wants Eliot to know that the restaurant is open for lunch and has a wide selection of nourishing soups, salads, and sandwiches. 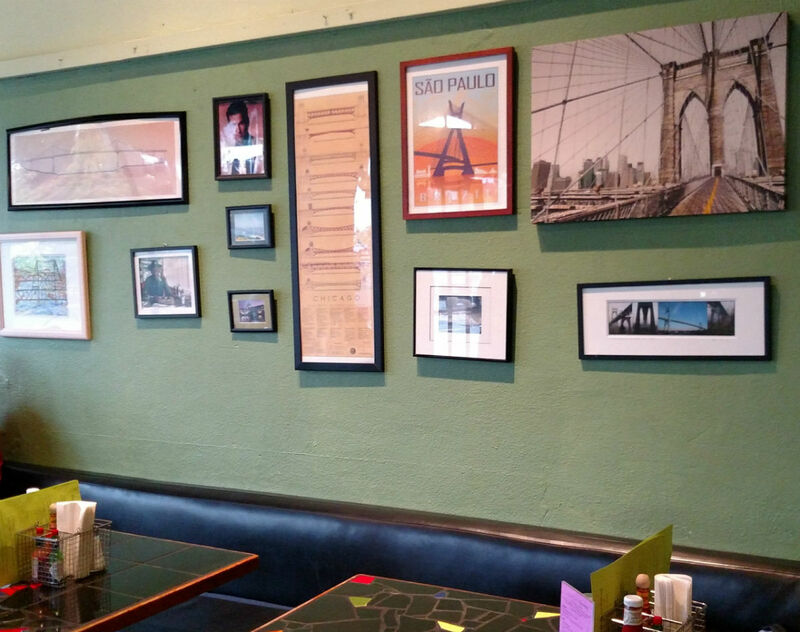 Bridges caters citywide, primarily providing food to local businesses. So, meander over to Bridges and support this wonderful, family owned and operated business as you savor delicious food made with spirit, good ingredients, and above all, love.